Hubbell 4 pin male. 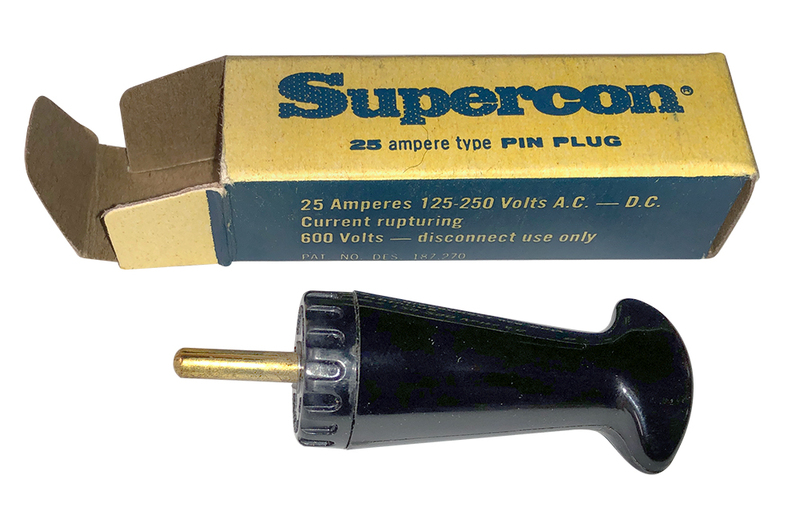 20 amp, 250 vac. Includes 12 foot long, 4 conductor 12 AWG ST cable. Russell Stoll 4 conductor connector kit, male / female set. 150 amp, 600v. Kit includes (1) JPS1534LKR (female) (below right) and (1) JRS1534LKR (male) (below left). 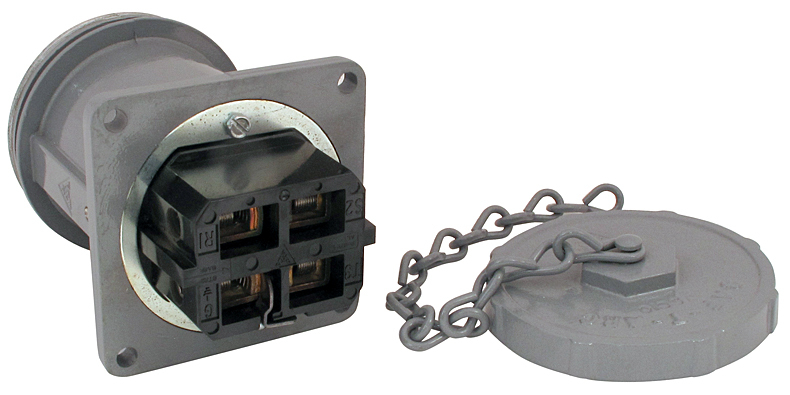 Russell Stoll panel mount 4 conductor male connector. 150 amp, 600v. Weatherproof. 4" square flange, 5" above chassis. Includes weather cap with chain. Brand new in the box!! 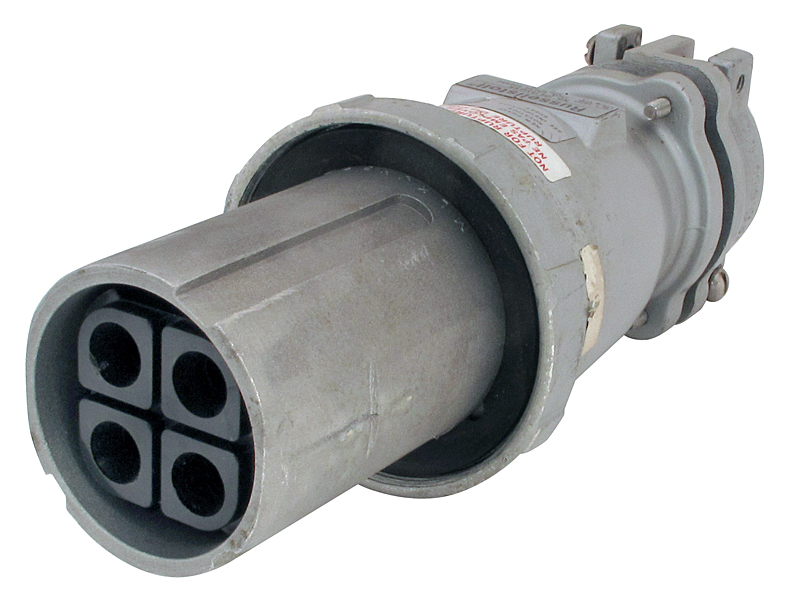 Russell Stoll inline female 4 conductor connector. 150 amp, 600v. Weatherproof. 10-1/2" long. 4" maximum body diameter. 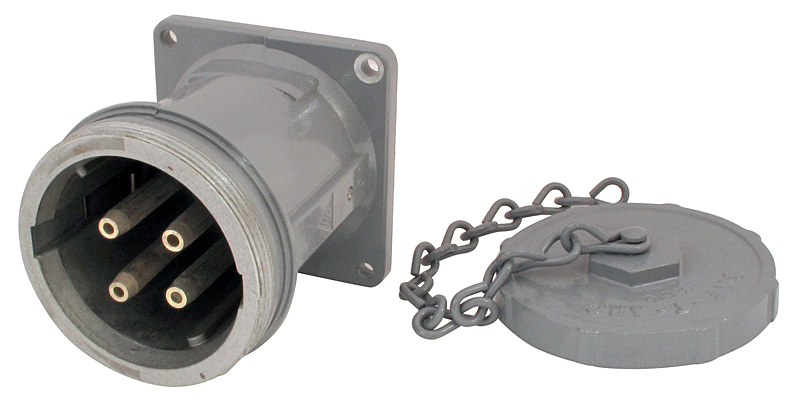 1-11/16" inner diameter strain relief grommet. NOTE: Sold only in kit with (CNE) JRS1534LKR (left). Russell Stoll inline male 4 conductor connector. 150 amp, 600v. Weatherproof. 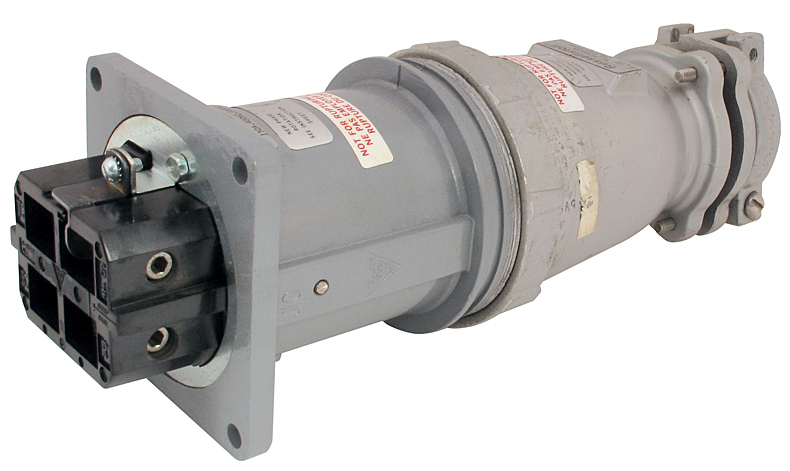 2-3/4" insertion diameter, 11-1/2" max. length. 1-11/16" inner diameter, strain relief grommet. Brand new in the box!! 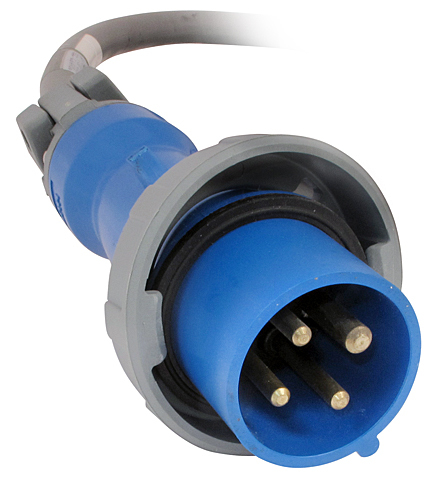 Airesearch Williamsgrip connector. Flange mount 2" x 2". 1-3/8" x 1-3/8" c-c mounting holes. 3-1/2" long. NSN: 5940-00-500-7277. 10 foot, 1/O Stranded Copper Wire. 1 conductor mating "22-7" connectors. Rubber jacket. Cut the cable & have a pigtail in both directions. Mil Spec #: M13486 / 1-14. 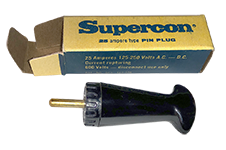 Supercon pin plug. Black. 25 ampere type. 250v. 14 - 10 AWG.